The Lake Lure Dirty Dancing Festival is returning this September for its 10th anniversary! Join us to celebrate the iconic movie fans around the world fell in love with and the sites that were filmed right here in Lake Lure on the weekend of September 13th & 14th. 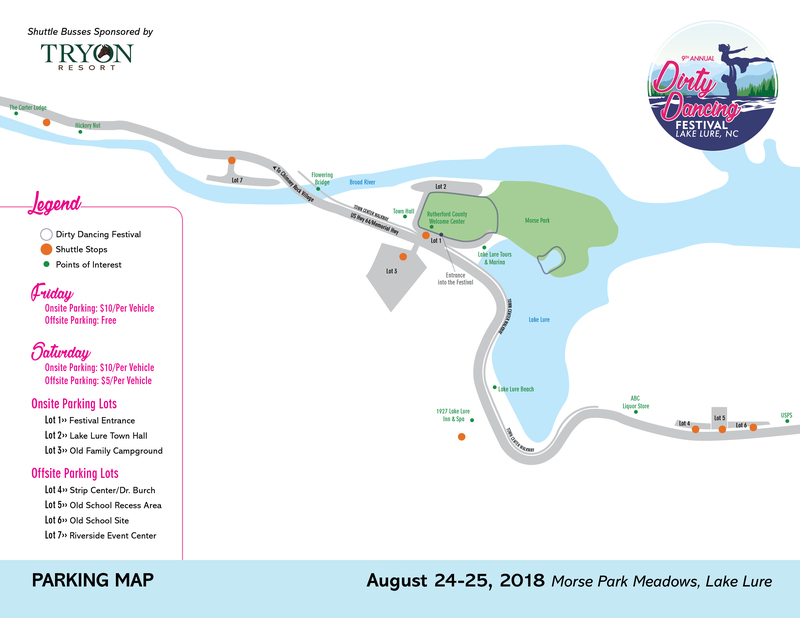 For nine years Lake Lure's Dirty Dancing Festival has descended upon the beautiful town of Lake Lure, North Carolina for two days of live music, dancing, food, arts & crafts, watermelon games and the famous lake lift! Come see what all the fuss is about and have the Time of Your Life!